Daily, one in four deaths is a veteran. Trained to survive and protect, they have unique needs when facing end-of-life. 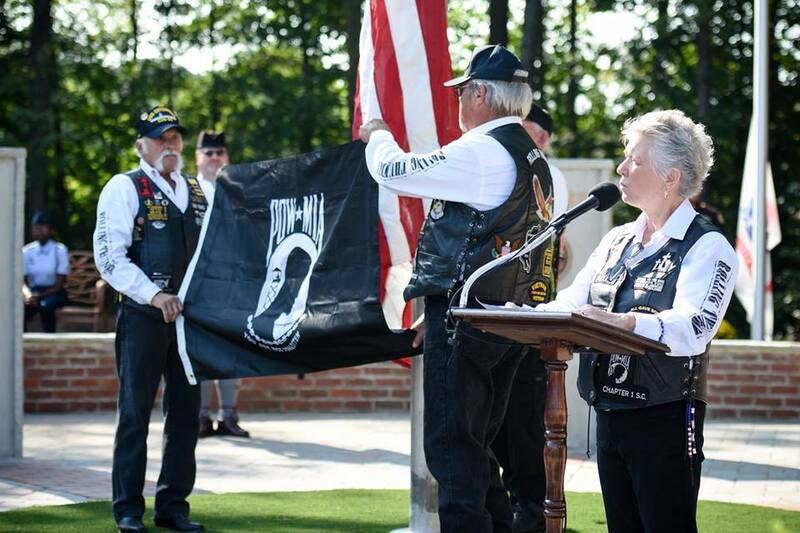 Hospice & Community Care addresses these needs with our “We Honor Veterans” program that offers individualized support for veterans under our care in the community. 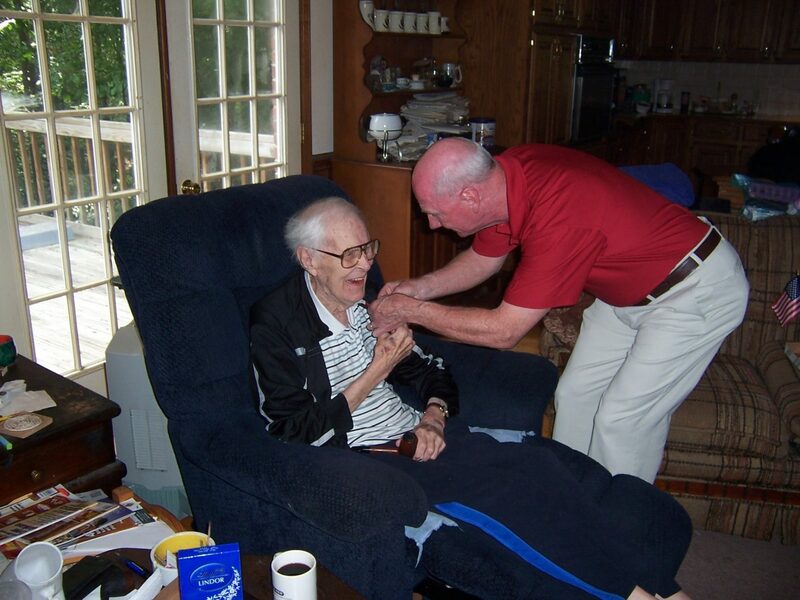 Hospice & Community Care is a member of the national “We Honor Veterans” program. Designed to provide support and guidance to Veteran patients, their loved ones, and the community, we offer hospice services, Veteran recognition and appreciation activities, and the comfort and support of trained Veteran-to-Veteran volunteers to eligible Veterans. 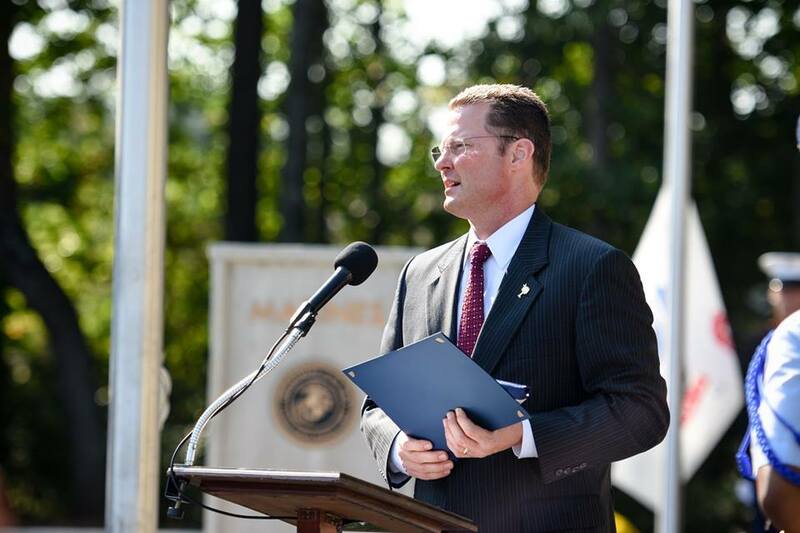 Developed by the National Hospice and Palliative Care Organization (NHPCO) and Veterans Affairs, the “We Honor Veterans” program, furnishes focused goals that include respectful inquiry, compassionate listening, and grateful acknowledgement; all designed to comfort patients with a history of military service and possibly physical or psychological trauma. Reaching those goals requires diligence and attention to specific needs of Veteran patients. Our goal is for each veteran patient to have a calm and life-enriching experience while facing end of life; along with supporting family members and our community. 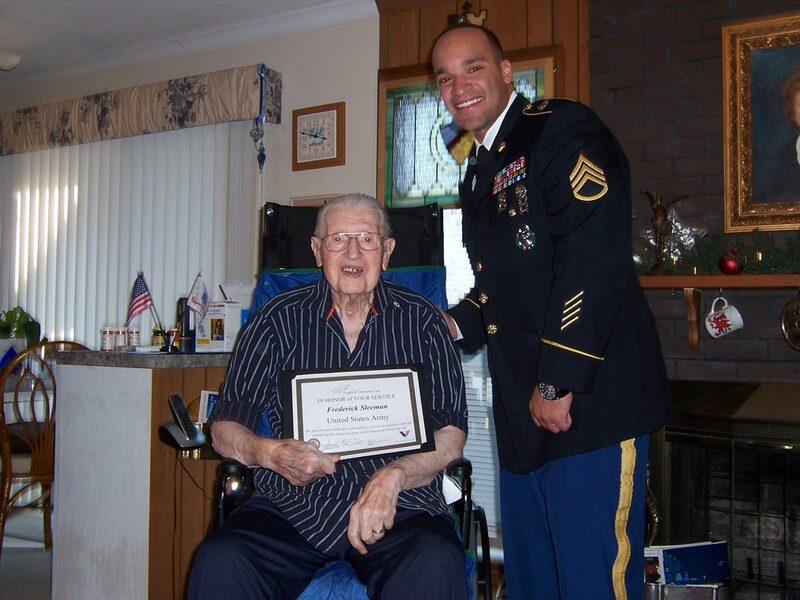 For our veteran patients at Hospice & Community Care we are honored to recognize veterans with service flags, a certificate, and if desired a pinning ceremony recognizing their military service. 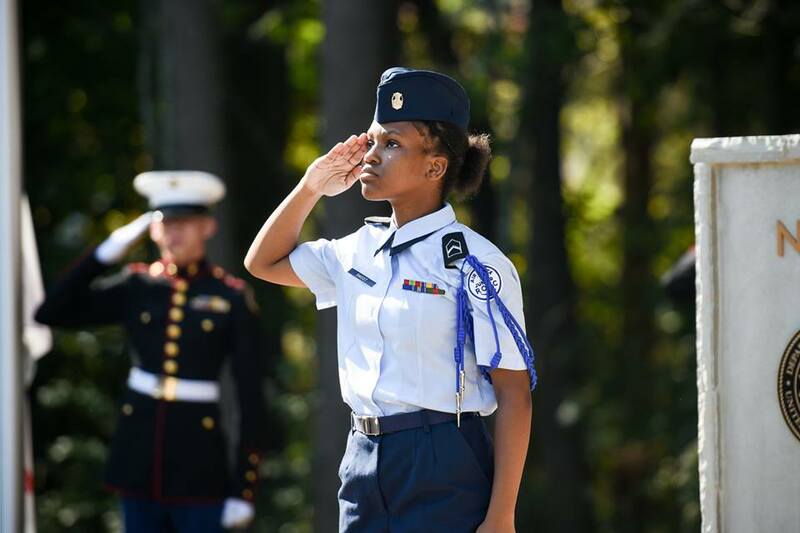 Typically less than 15 minutes, the ceremony is a respectful tribute to the veteran and allows us to express our appreciation. 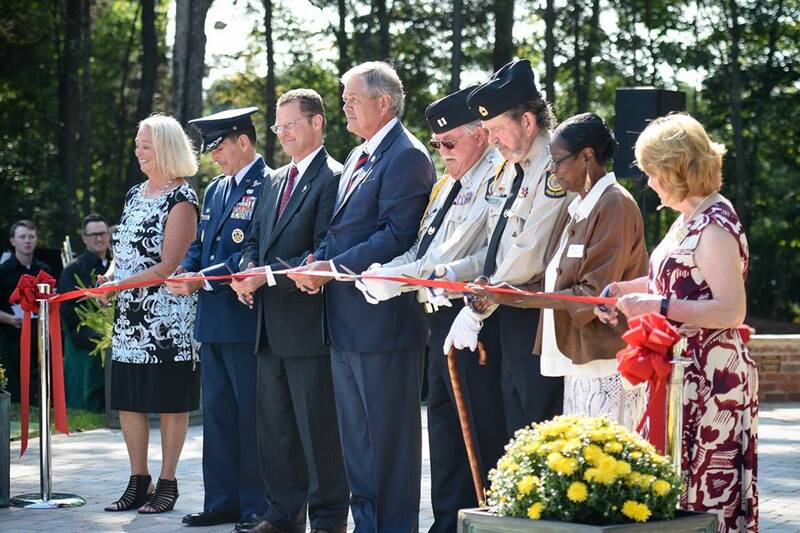 The Veteran Garden on the Hospice & Community Care Campus was completed and dedicated on Friday, Sept. 22, 2017. 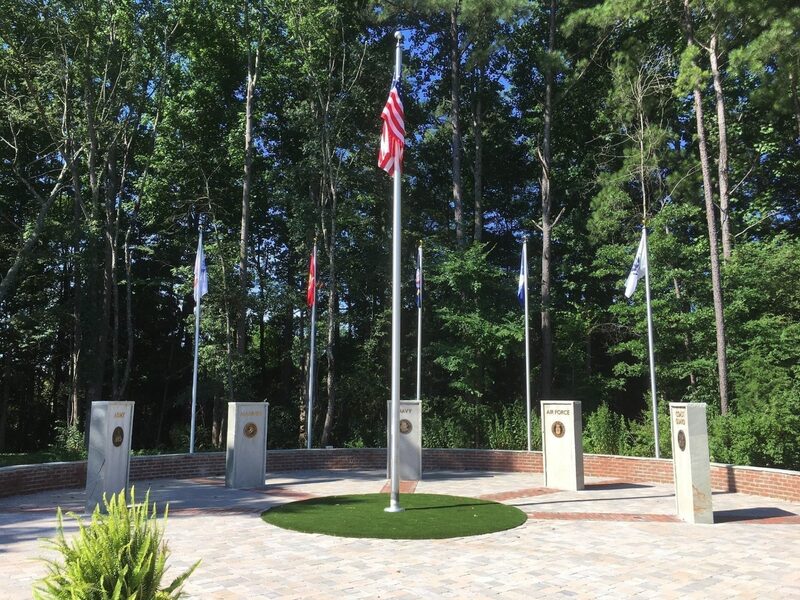 The garden features monuments to all five branches of service and memorial pavestones, along with a center flagpole. 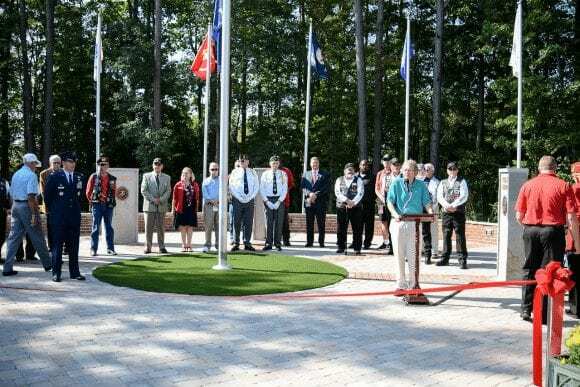 The center flagpole was placed and dedicated on May 18, 2015. We continue to diligently work with our supporters and the community to raise funds for the garden. Currently, we are seeking support to place a brick in the garden for every Veteran patient under our care. 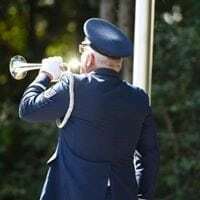 Online donations to the Veterans Garden may be made here. 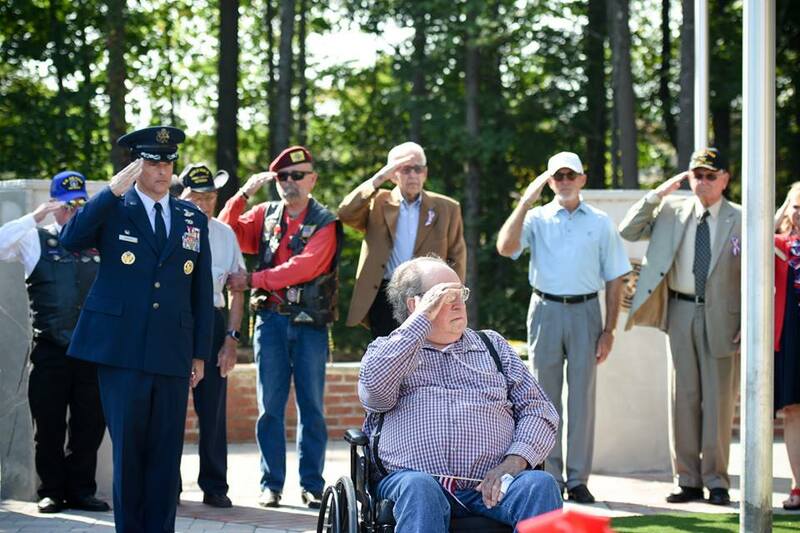 For more information about our Veterans Garden or We Honor Veterans program please contact us at 803-329-1500.